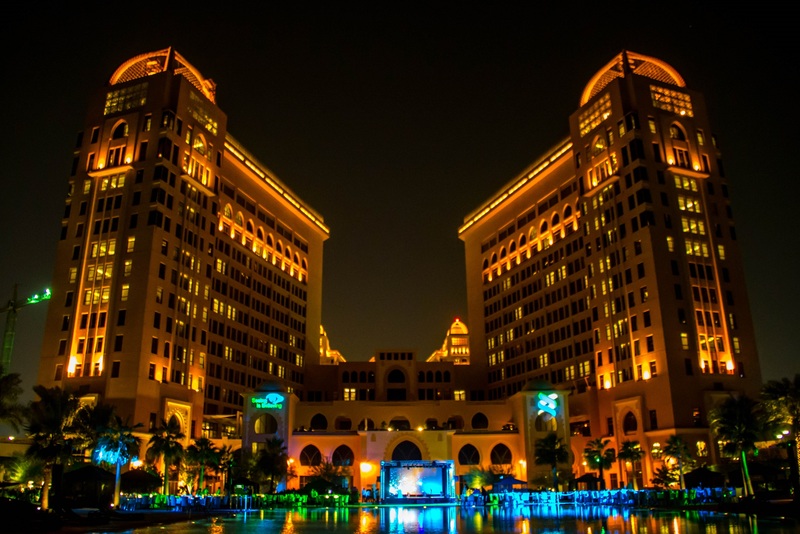 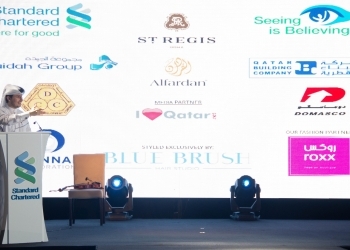 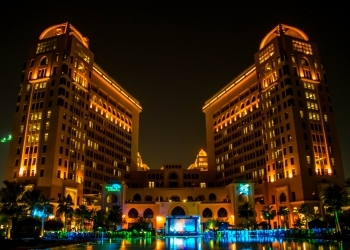 In support of the 39 million blind people across the world and to raise awareness that 80% of this blindness is avoidable, Standard Chartered Bank Qatar hosted an event on Tuesday 18th November, 2014 at St. Regis hotel in Doha. 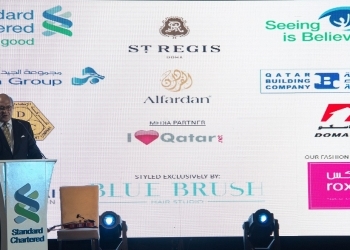 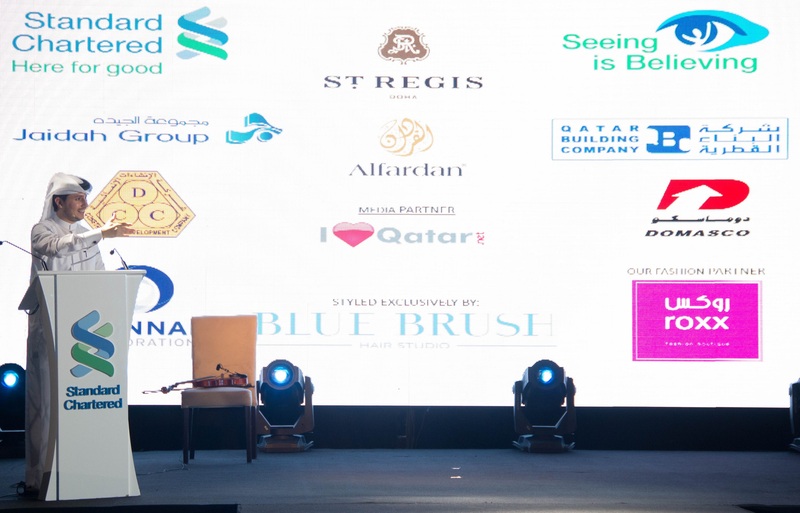 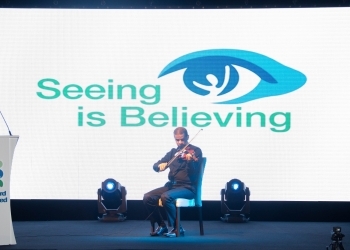 During the evening, key corporate partners including Alfardan and the Jaidah Group, as well as distinguished guests were invited to enjoy an evening filled with art, music and fashion all in the aim of raising money for Seeing is Believing, an initiative of Standard Chartered Bank. 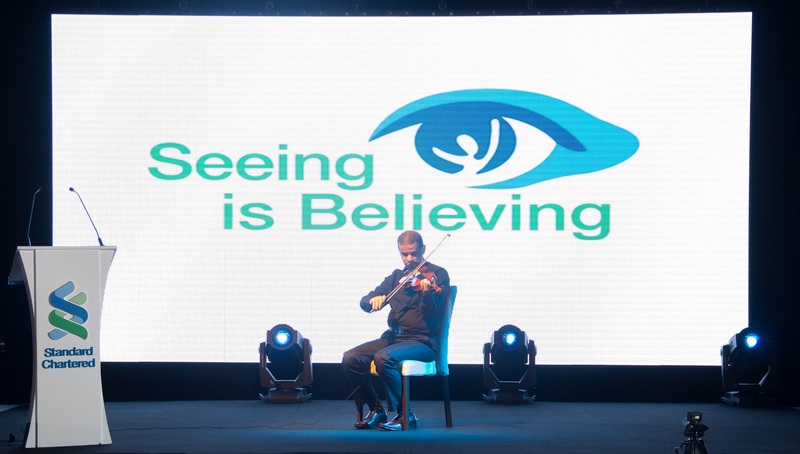 The evening began with a welcome address from Mr Charles Carlson, CEO of Standard Chartered Bank Qatar, followed by an inspiring violin recital by blind violinist Mr Ali Hassan Alalaiwi. 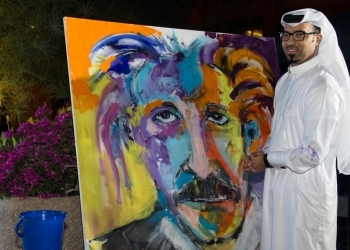 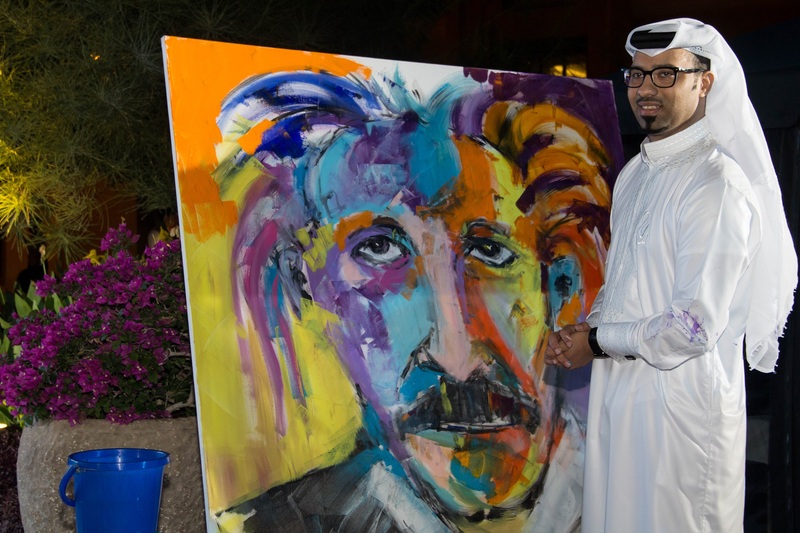 Then Mr Khalifa Saleh Haroon, Founder of ILoveQatar, led an auction with paintings donated by a slew of talented Qatari artists, and the evening concluded with a high end fashion show. 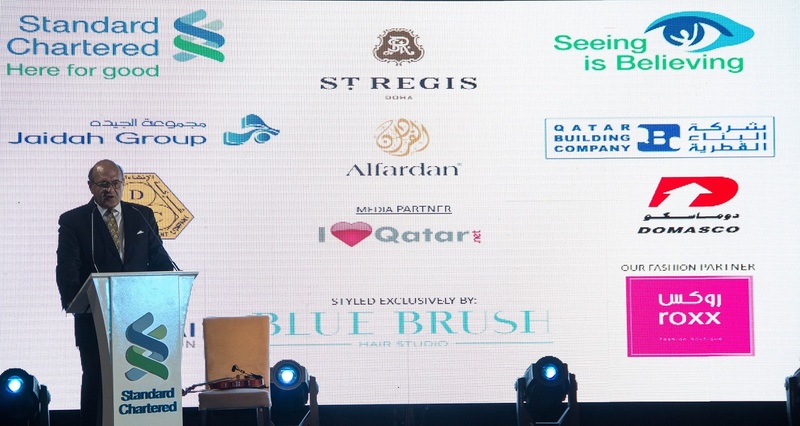 By the end of the evening, a total amount of 273,000 QR was raised, which Standard Chartered Bank will match, with all proceeds go towards eliminating avoidable blindness across the developing world.